Building the elevators is relatively straight forward. There are two of them, left and right side. Honestly, the hardest part is applying the primary finish coat around the round surface of the torque tube! 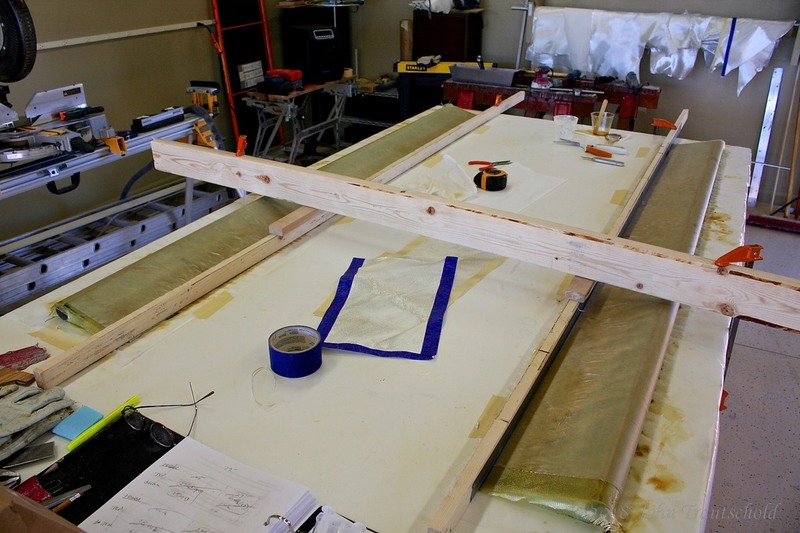 Construction of the elevators begins by removing the foam cores from the billets and preparing them for attaching the torque tubes. 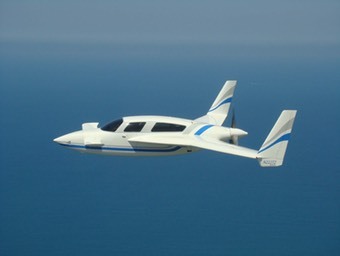 The elevators are made out of foam and need to be trimmed before attaching the torque tube. The torque tubes need to fit into the precut cores perfectly. 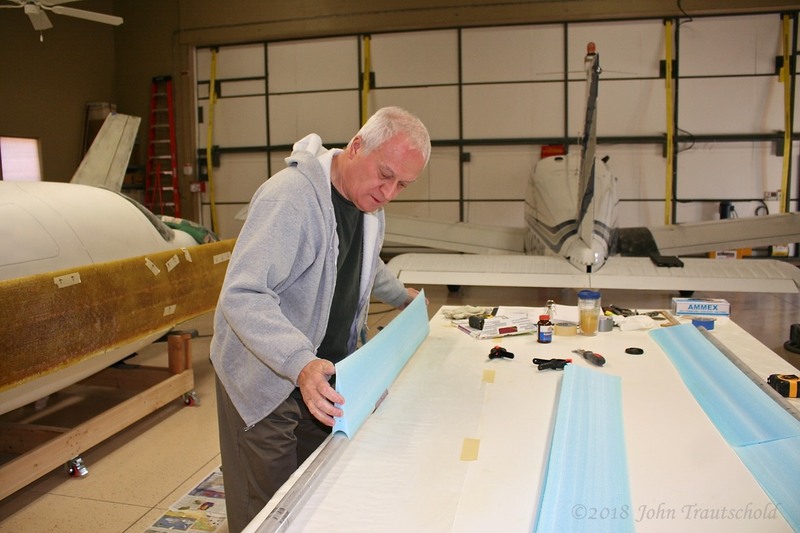 The Velocity construction videos recommend attaching a piece of sandpaper temporarily to one of the tubes and using that to sand down the curved section of the foam pieces to get the fit perfect. It actually works quite nicely. The sandpaper is attached with contact cement so it can be removed easily. I mentioned a problem I ran into, which, from what I understand, is not that uncommon. You’ll notice I’ve got pieces of tape marking specific sections of the carnard in back of me. Well, no matter how hard I tried, I could not get lay-up ‘C’’s leading edge to perfectly attach to the bottom layer of triax, even though I pre-wetted lay-ups ‘A’ and ‘B’ before placing ‘C’ on top. It created a bunch of gaps between layers which end up being a weak point. The recommendation is to drill small holes where the gaps are and to insert epoxy into those gaps using a syringe! Doing that worked, but it also made a big mess. The torque tubes need to fit the foam cores perfectly. Here I am sanding each elevator core piece to the shape of the tube. While the epoxy cures I tape the tubes into place and use a 2x4 to hold the elevator cores flat to keep them from twisting. 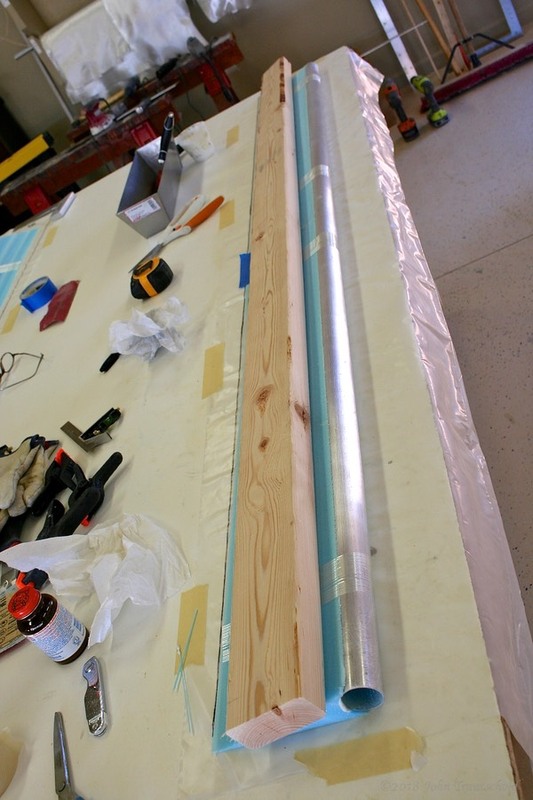 At this point the torque tubes are epoxied in place and the assembly is now ready for the first lay-up. 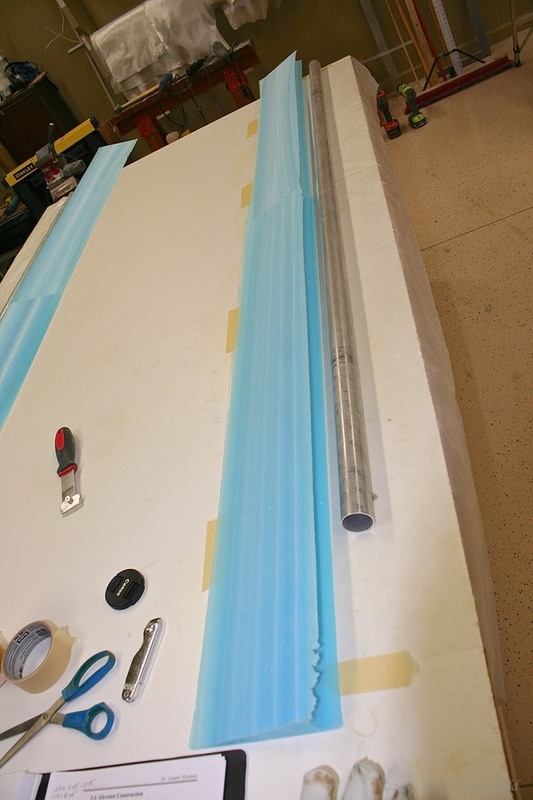 Since the elevators need to be light, we use UNI fiberglass for these assemblies - two layers on the bottom side and one layer on the top side. Getting ready to fiberglass the elevators. 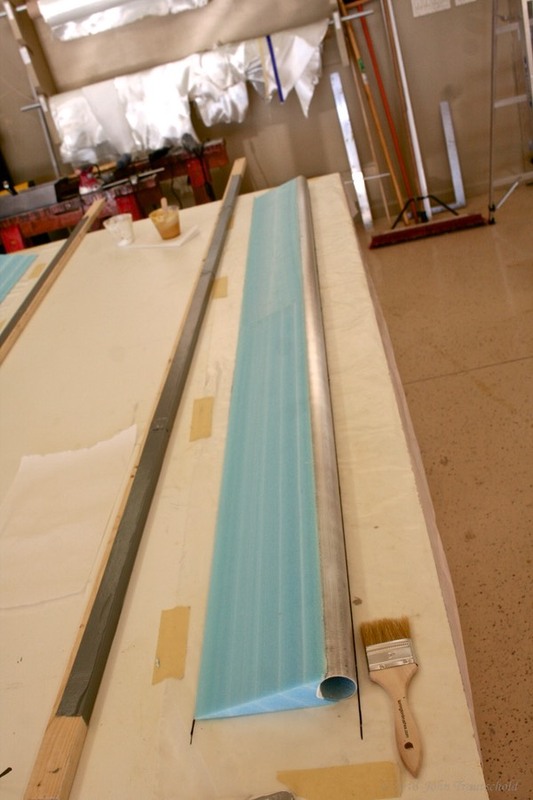 The long board with duct tape is used to create a flat trailing edge. Both elevators have two layers of UNI on the first side along with some peel-ply to help soak up any extra epoxy and to help keep the assembly nice and flat. (The peel-ply gets removed after the epoxy cures.) I also need to create a flat trailing edge for each elevator and I’m using those two long 1x2’s to do that. My clamping contraption is helping to keep everything flat and locked into place. My contraption for solidly holding those long boards down for creating that flat trailing edge! I don’t show it here, but once this side cures, they both get flipped over for an application of one more layer of UNI to finish it off. For the opposite side, I did not have to do the clamping thing since that side is supposed to be one continuous surface. Once everything is cured, it’s on to applying a primary finish coat. That starts on the next page.